Our two favorite web-series starlets are ready to dish. Last we left off, the #Hollstein ship was making their way out of a cavernous hole in the ground after saving the Silas University campus and the entire world from eminent doom. 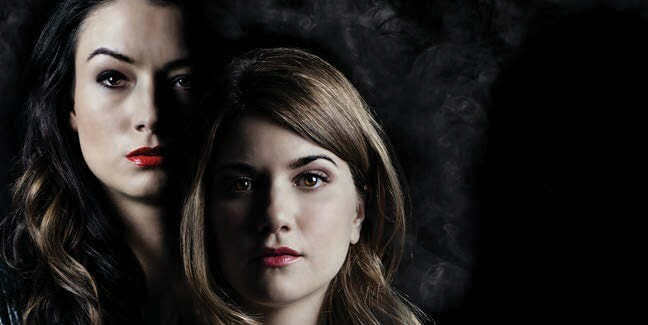 The Carmilla girls, Laura Hollis (Elise Bauman) and Carmilla Karnstein (Natasha Negovanlis) have seen some rough times over the series’ three epic seasons on the KindaTV YouTube channel, but through all the heartache, battles and quirky sentiments, it was obvious that these two were meant to be together. I was fortunate enough to hang with the Carmilla ladies and discuss the release of The Carmilla Movie, where they reprise their famous roles.